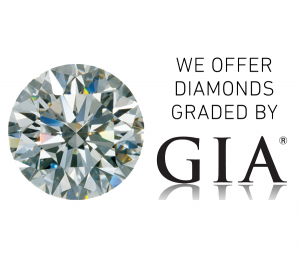 We are proud to say that our brand, The Gold ATM, is the highest-reviewed gold and diamond buyer in Atlanta. We have over 250 five-star reviews on Google and an A+ rating with the Better Business Bureau. Besides buying diamonds and gold, we also buy sterling silver jewelry and vintage pieces. We’ve decided to provide a short cleaning guide, as many of our customers aren’t sure how to properly clean their silver jewelry. Silver is a popular choice among many jewelry lovers because it is radiant, versatile, and inexpensive when compared to some other precious metals. Still, there is one problem regarding silver. It easily becomes discolored once it comes in contact with oxygen or sulfur; that makes it look dirty and unattractive. Luckily, the cleaning process couldn’t be easier. There are a number of things that could help. We always advise our clients to simply polish their silver jewelry if the tarnishing isn’t too severe. A special silver cloth works great, but a plain microfiber cloth or a lint-free flannel will work too. Also, don’t rub your silver. Use long back and forth motions; that will do wonders. When the tarnishing doesn’t react to polishing, an inexpensive homemade cleaner should help. However, we advise you not to use homemade cleaners on gemstones or oxidized jewelry; that could worsen the problem. Also, we always remind our clients to rinse and dry their silver once they finish using the cleaner. We love using a mild, ammonia- and phosphate-free soap with warm water. If polishing with a cloth doesn’t work, this is what we recommend trying next. A paste from baking soda and water works great when applied to a cloth. Polishing will have a greater effect with this solution. One tablespoon of olive oil and ½ cup of lemon juice make a great cleaning mixture. Soak a cloth into the solution and polish your silver with it. If heavy tarnish prevents polishing, use a mixture of white vinegar and baking soda to remove it. Soak your silver piece into the solution (1/2 cup of white vinegar and 2 tablespoons of baking soda) and leave it for two to three hours. Finally, if the tarnishing is too severe, or if your silver is fragile or vintage, consider taking it to a professional for cleaning. We buy silver jewelry from brand names like Tiffany & Co. and David Yurman. In addition, we offer jewelry loans on sterling silver jewelry, with rates starting as low as 5%. Our environment is absolutely safe; we operate from secure high-rise office settings, ensuring a pressure-free environment for all our customers (there is no pressure to sell whatsoever).